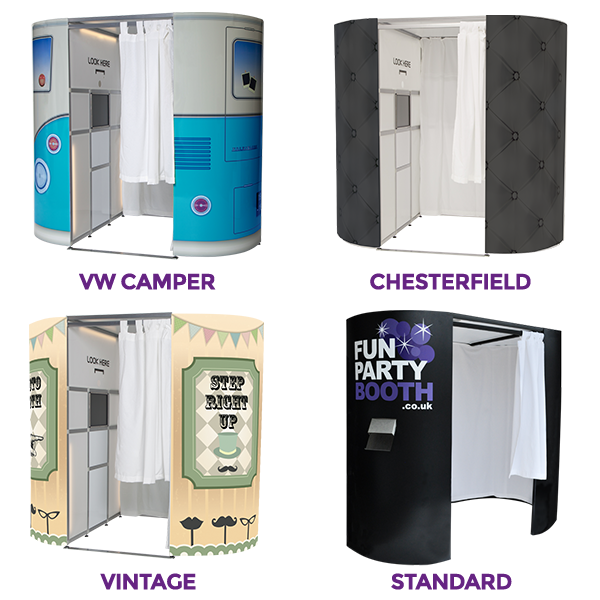 If you want to make your wedding, corporate event or party truly memorable, hire a photo booth from us. You and your guests will be able to capture the best moments from your wedding, corporate event or party in photos and videos and enjoy them for years to come. 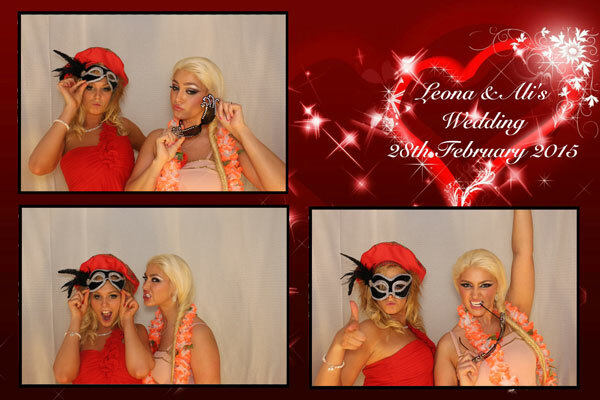 Unlimited visits for all your guests for the duration of the hire, allowing them take as many photos as they want. 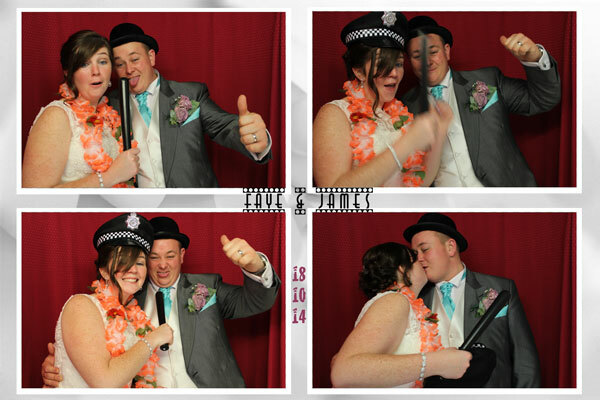 You and your guests can make as many visits to the photo booth and take as many photos as you like for the duration of the hire. 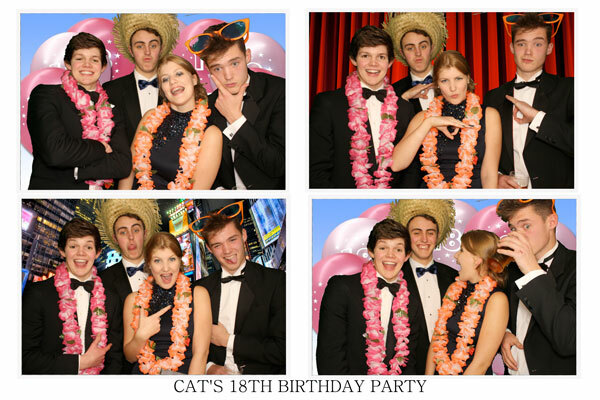 High quality photos are printed out instantly so your guests get to take them away immediately as a tangible memory of your event. Your guests can also record as many videos as they want for as long as they want. They can sing a song or leave you a message on video. 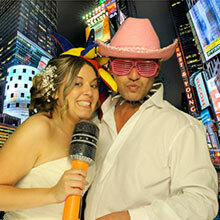 We offer a wide range of high quality fancy dress props to put on to take photos. 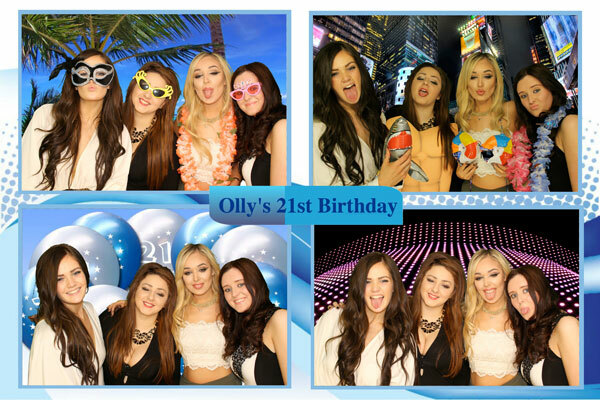 The photo templates are personalised with your name/s and are co-ordinated with your colour scheme, making each photo just the way you want it. Your guests can record a video and then watch it back in slow motion. 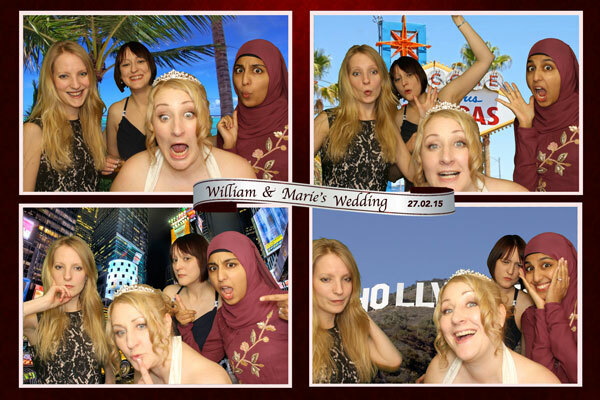 All slo-mo videos are put onto your USB so you can see what your guests were getting up to in the booth. With our photo guestbook service, you’ll receive a guestbook that contains all the photos along with messages from your friends and family. It will be a priceless keepsake of your special day that you can treasure for a lifetime. 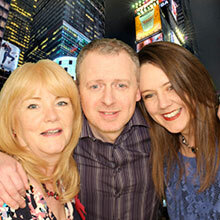 You receive a USB memory stick containing all the photos and video messages your guests have left for you. 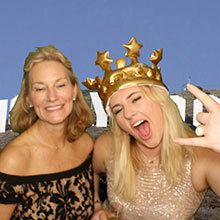 Green screen technology allows you to add almost any background to your photos making your photos fun and unique. All the photos and videos from your event are uploaded onto a password-protected gallery, so that you and your guests can download them with your own event password. A booth attendant is on hand throughout the hire to assist guests and ensure the smooth running of the booth. The booth is set up and taken down by your booth attendant. It is done outside of your hire time. 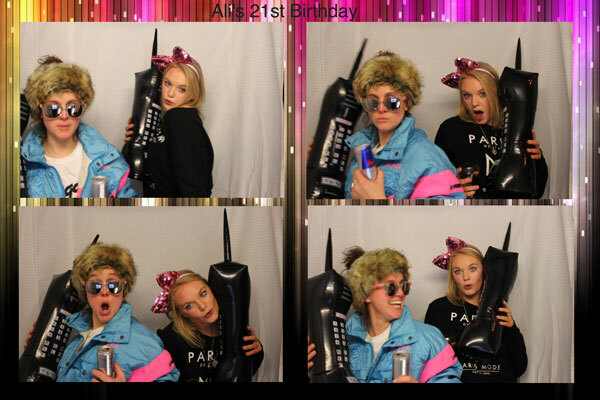 Our facial recognition technology allows your guests to use digital props for even more variety and fun in the booth. Capable of accommodating up to 8 people - So you can get some great group shots. Touch screen interface for easy use allows you to see yourself striking your pose. Uses the latest market leading technology - Giving you the best service possible. Complete with DSLR camera, HD Webcam and Dye Sublimation Printer - Ensures you get the highest possible photo and video recording quality. 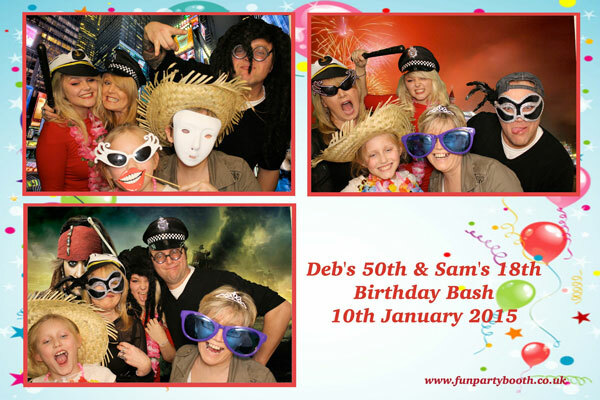 "At Fun Party Booth Hire we create fun, memorable experiences for you and ALL your guests"
I just wanted to thank you for attending my 50th party on Saturday night. 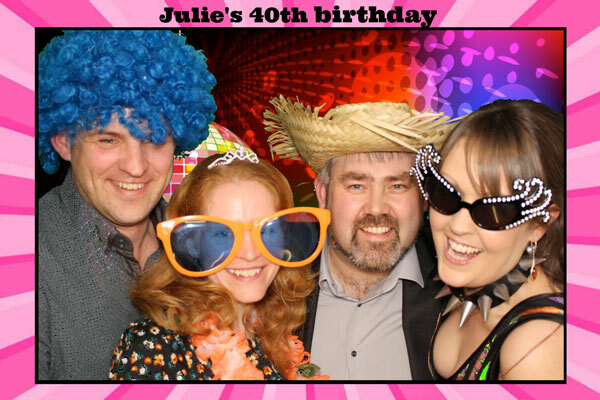 It was a fabulous evening definitely enhanced by the Photo Booth.